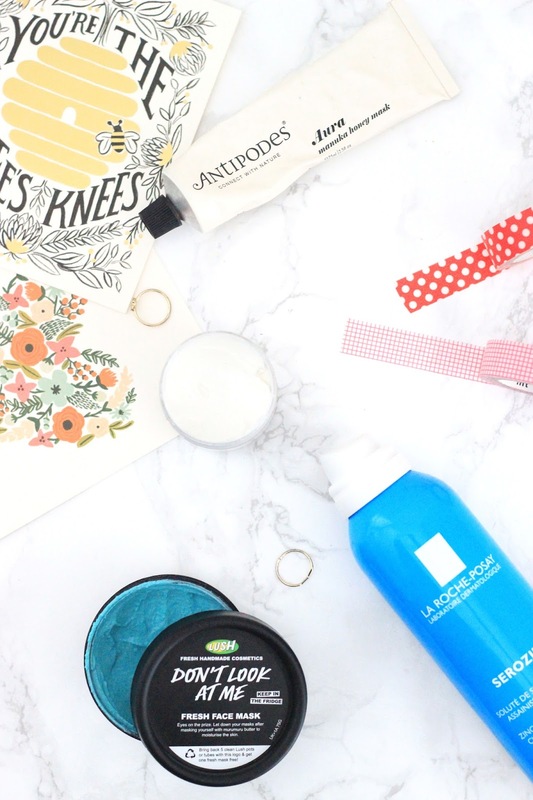 Although my skin has been extremely well behaved recently, I always have a handful of products to hand that are suitable for banishing my blemishes. From masks to treatments, I have put together a group of products that I continue to use to soothe and heal my skin when it is in need of some extra TLC. My first port of call for when I need to banish blemishes quickly is Sudocrem. Benzyl Alcohol works as an antiseptic to reduce redness and discomfort, but the emollient effect helps to soothe sore, irritated skin. If you're looking for a product that will work in a matter of hours then I would recommend trying out Sudocrem as an affordable alternative to spot treatments such as the Origins Super Spot Remover. The Lush Don't Look At Me Mask is a top treat that my skin loves. Enriched with Murumuru Butter, Tunisian Neroli and Lemon Juice, this face mask gently exfoliates, moisturises and promotes radiant looking skin. Although this mask isn't tailored specifically for blemish prone skin, I still find that the rich texture helps to get rid of those little pesky bumps and heal problematic skin in an instant. Next up is another mask in the form of the Antipodes Aura Manuka Honey Mask. Described as an antibacterial, deep cleansing mask, this is suitable for both the morning and evening. With it's hydrating and cooling properties, this mask fights blemishes, soothes redness and leaves your skin feeling bright and de-congested without stripping the skin of natural oils. If masks or treatments aren't your cup of tea, then the La Roche Posay Serozinc is your best bet. I have been singing it's praises for many months now, but it truly works wonders. As it contains only three ingredients, water, sodium chloride and zinc sulfate, I helps blemish-prone skin and irritation. I spritz it on as a toner both in the morning and at night as the simple ingredients work quickly and effectively on the skin. What products do you use to banish blemishes?